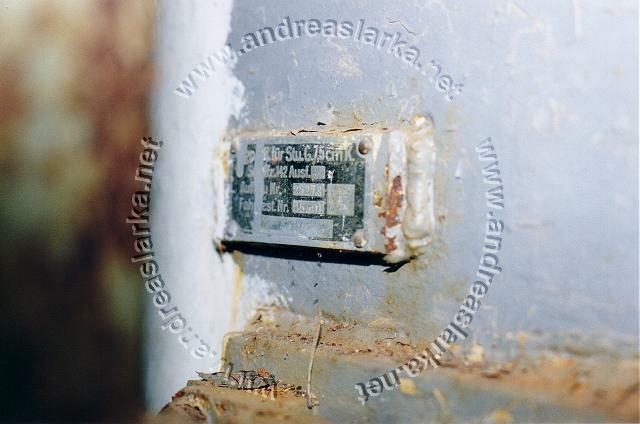 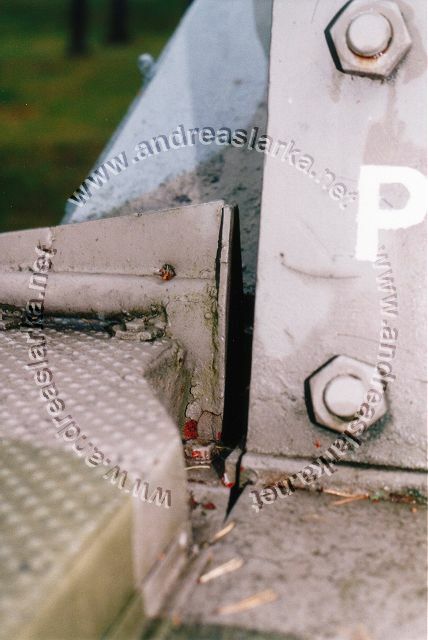 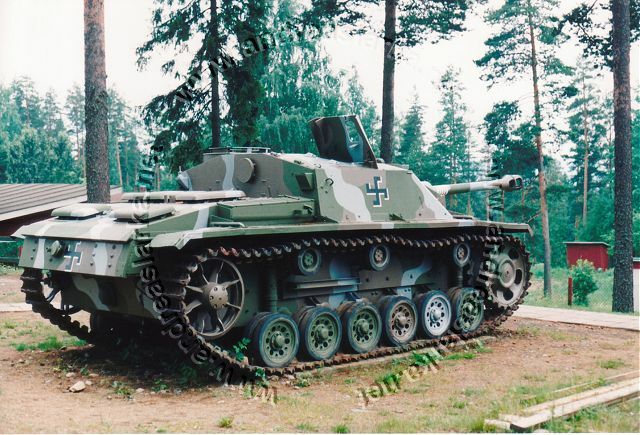 Chassis number: 95501, MIAG ~ August 1943. 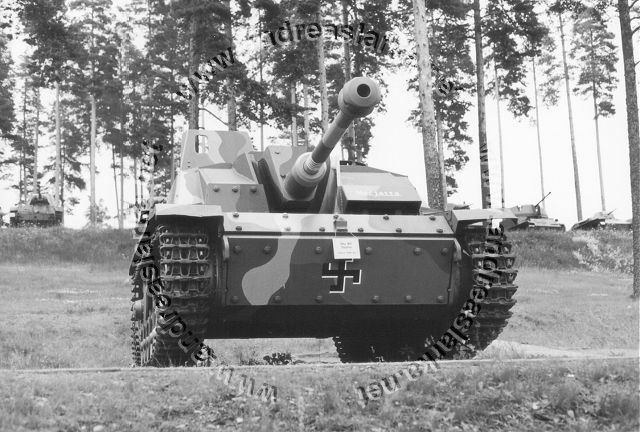 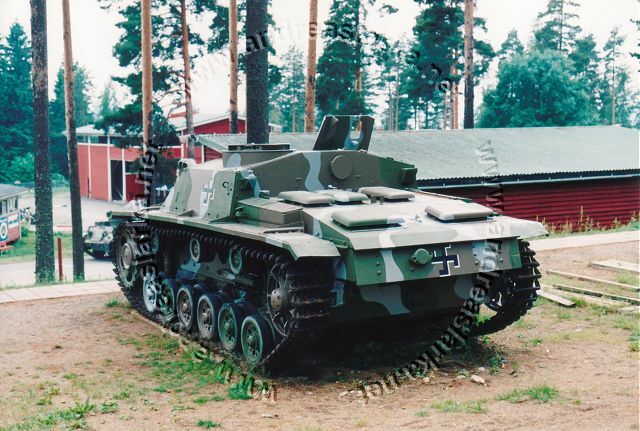 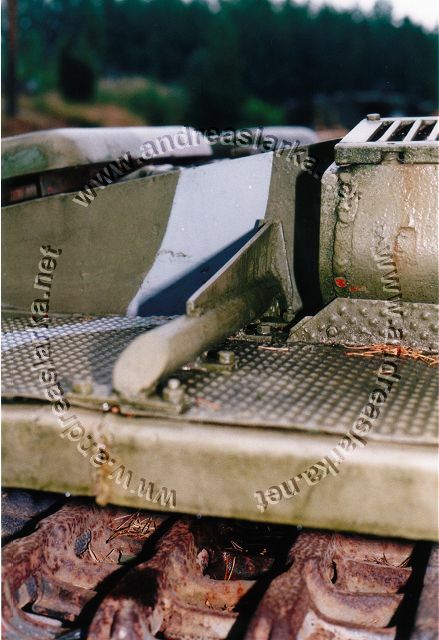 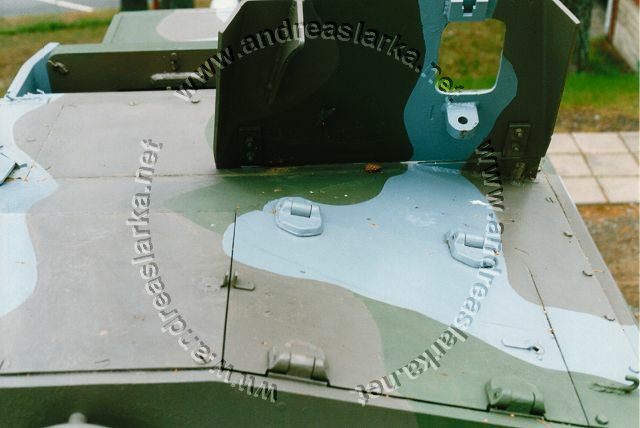 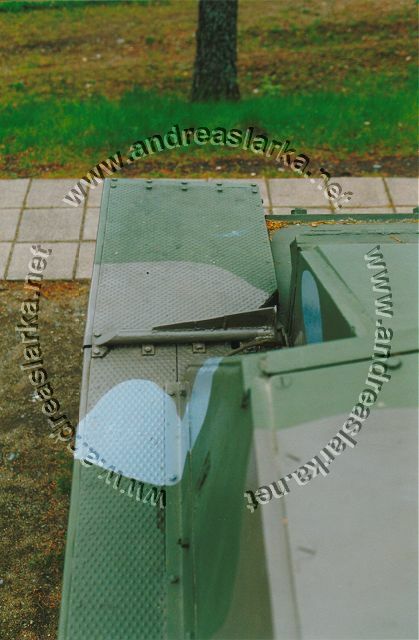 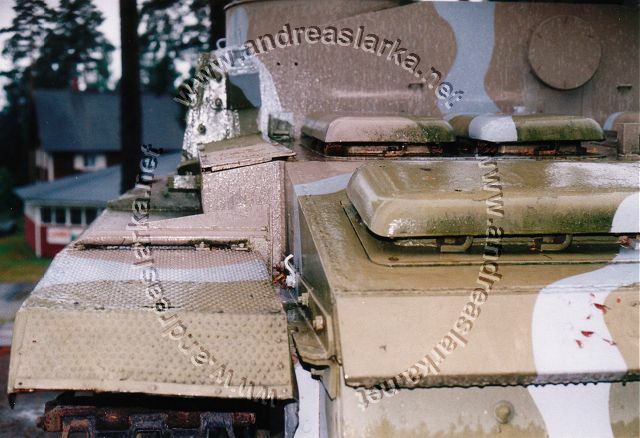 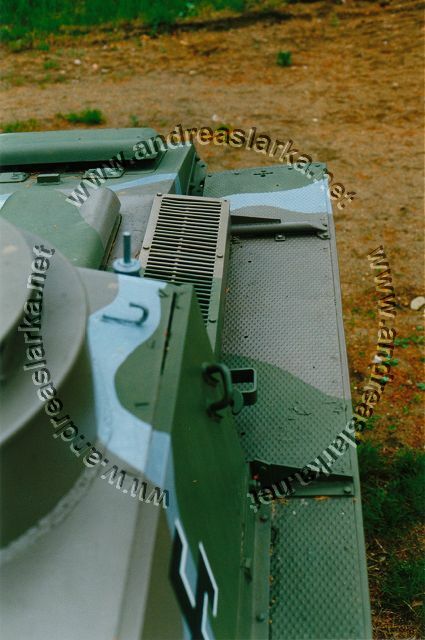 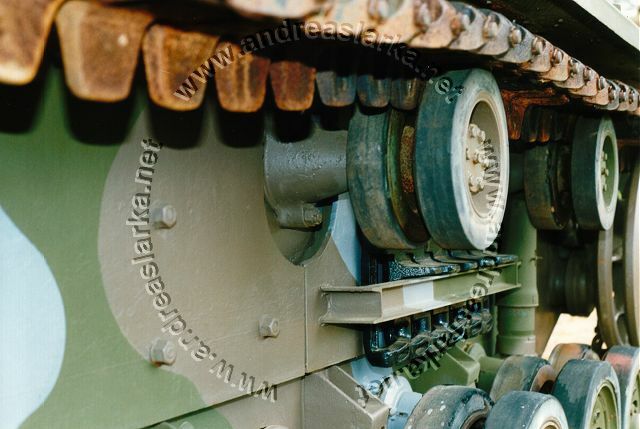 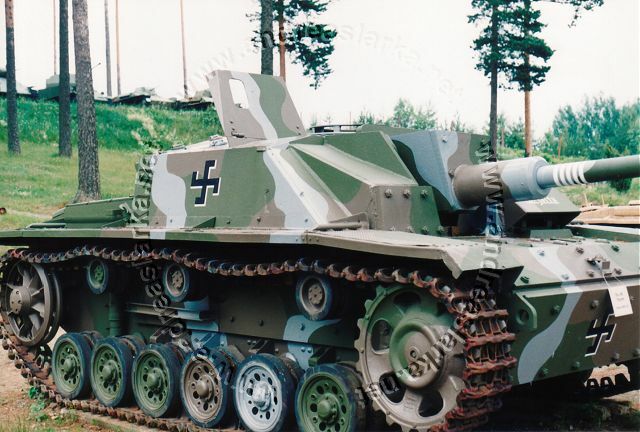 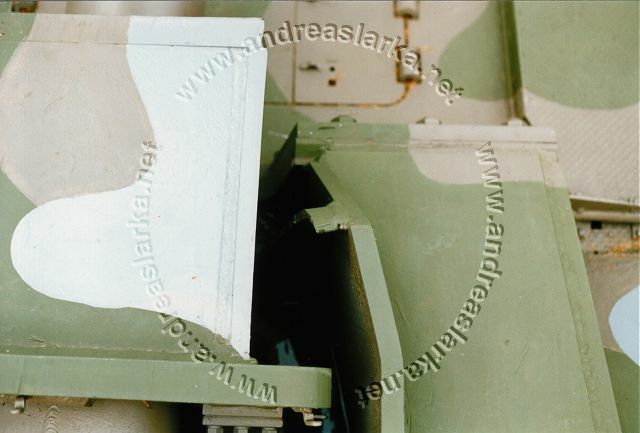 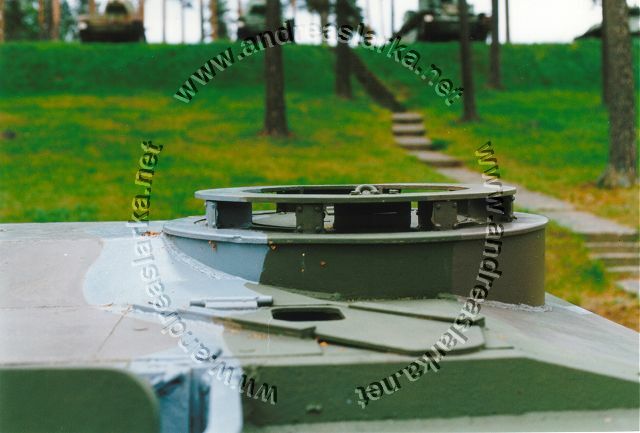 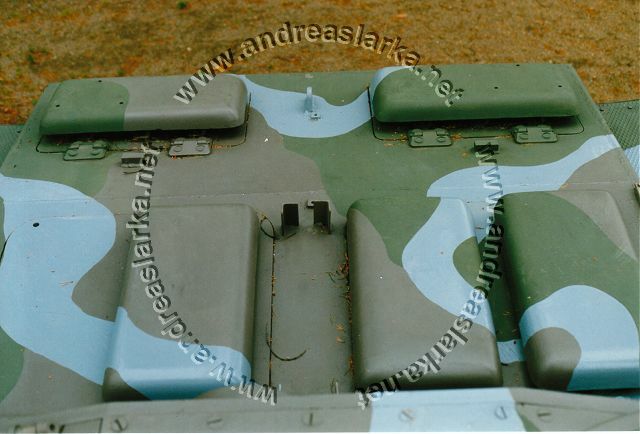 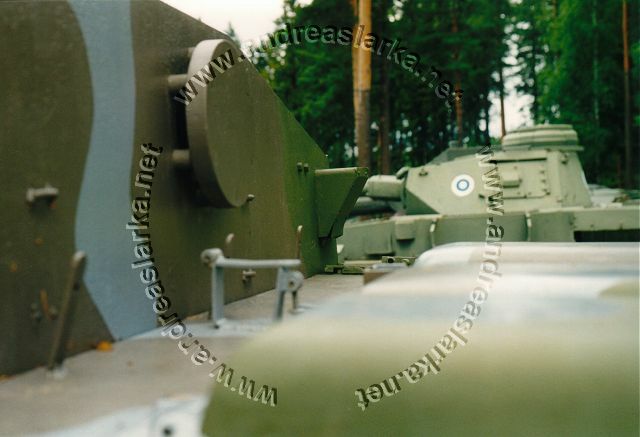 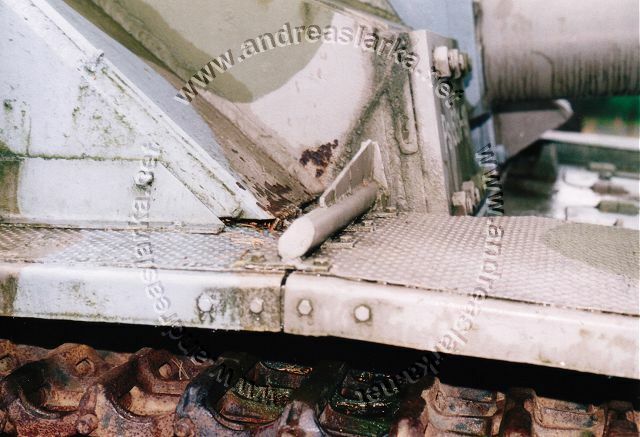 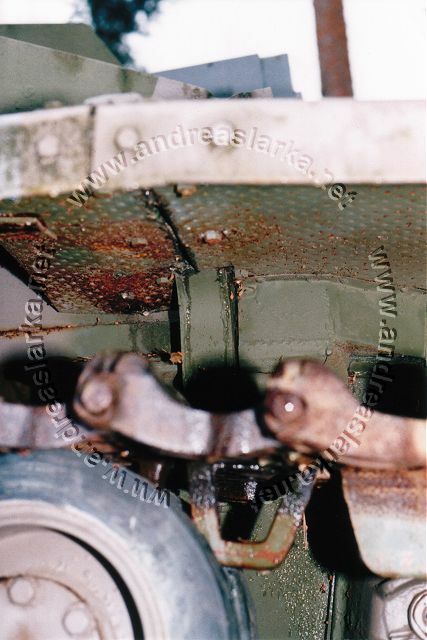 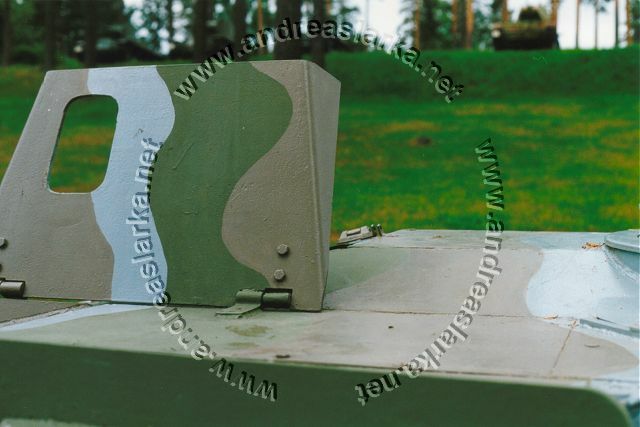 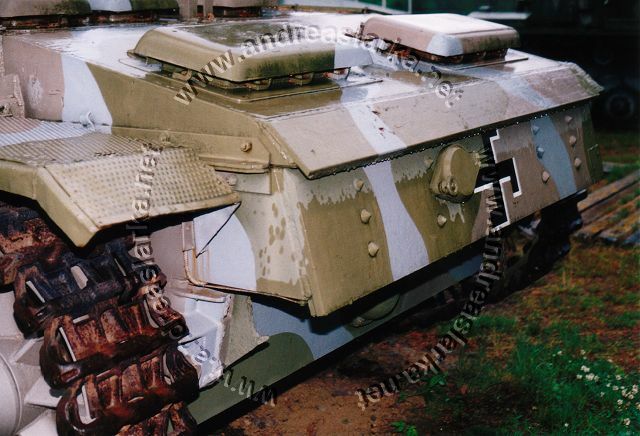 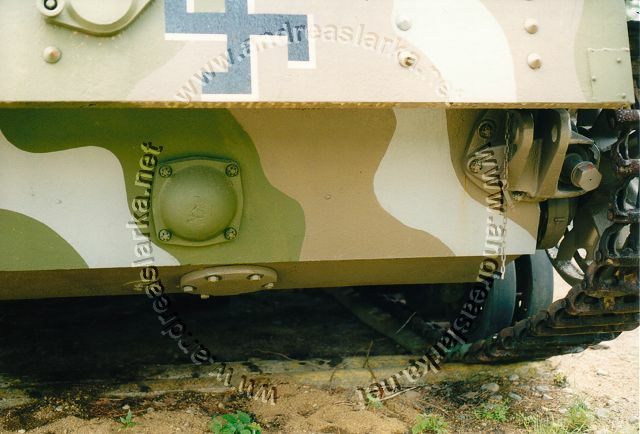 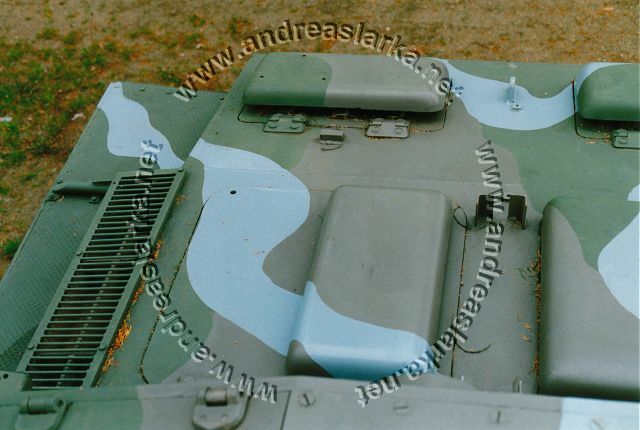 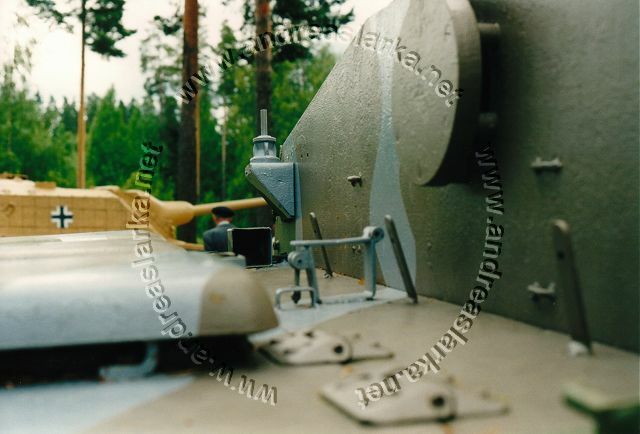 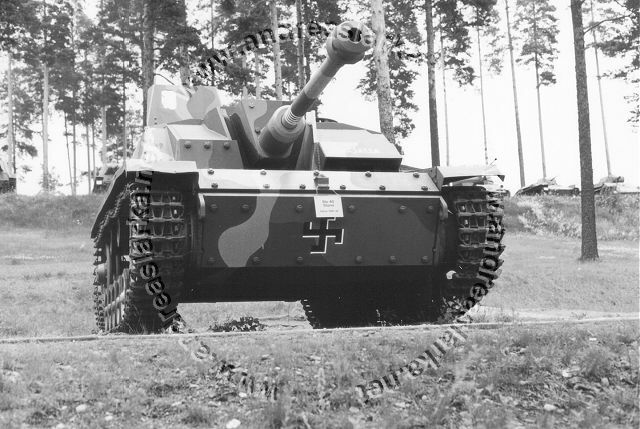 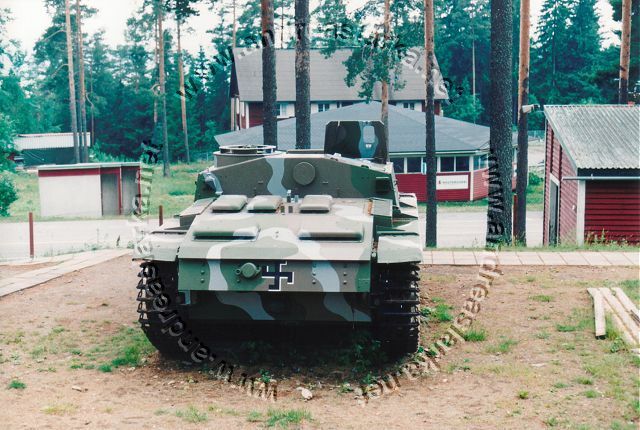 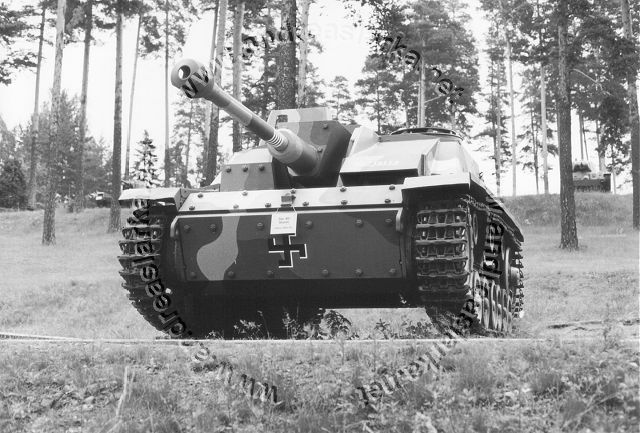 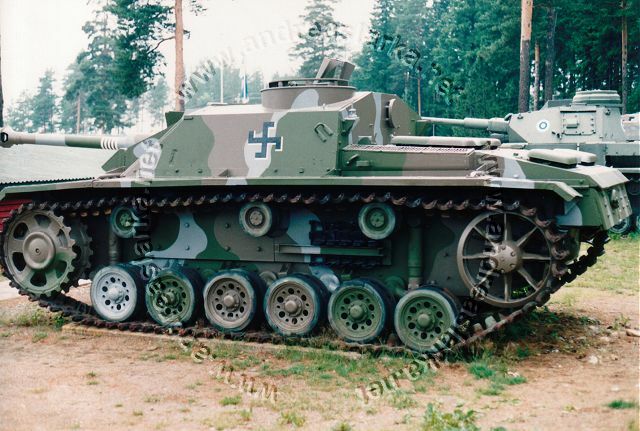 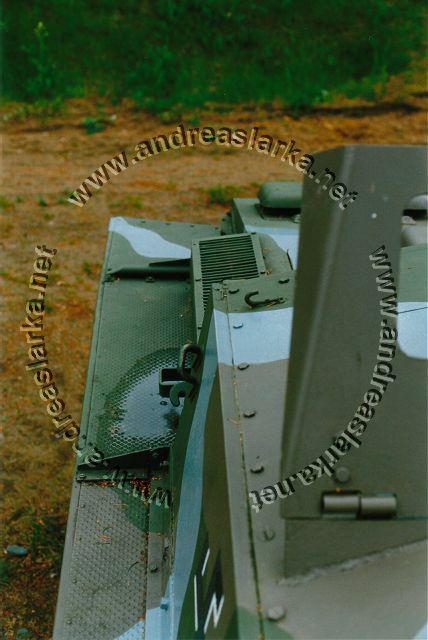 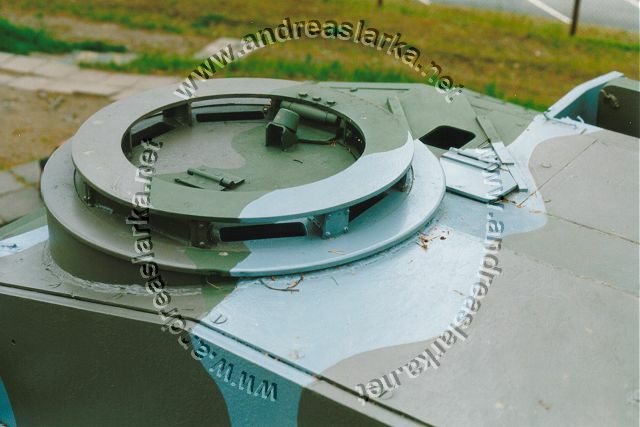 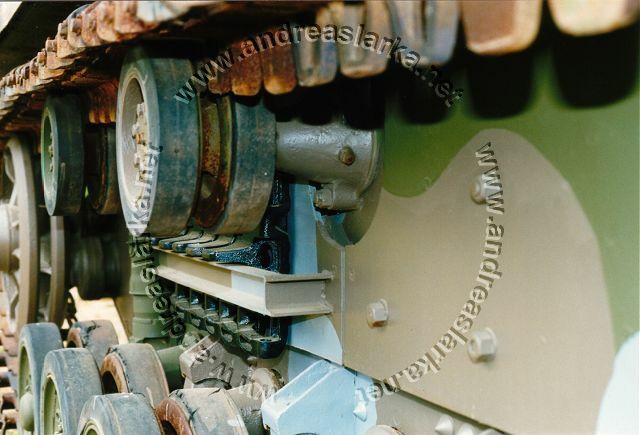 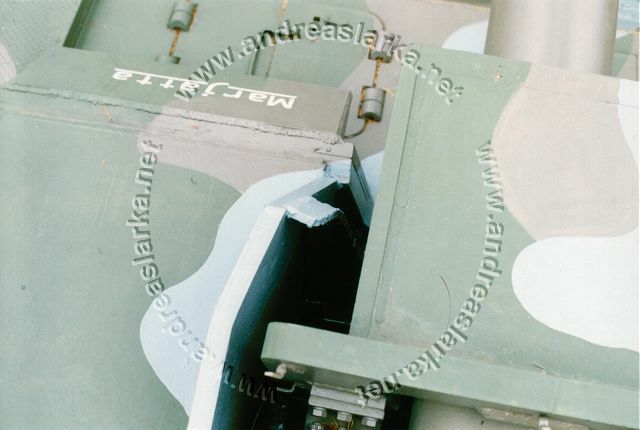 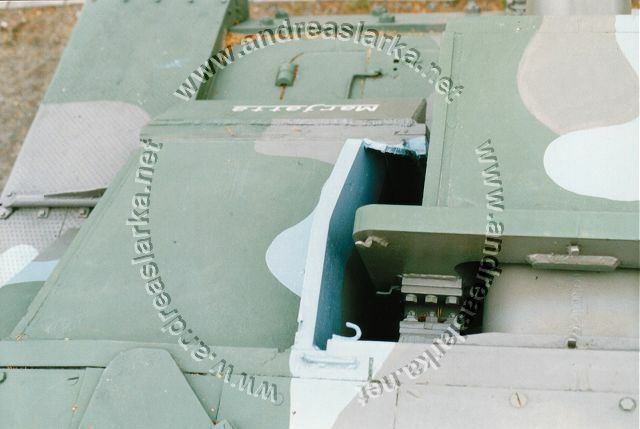 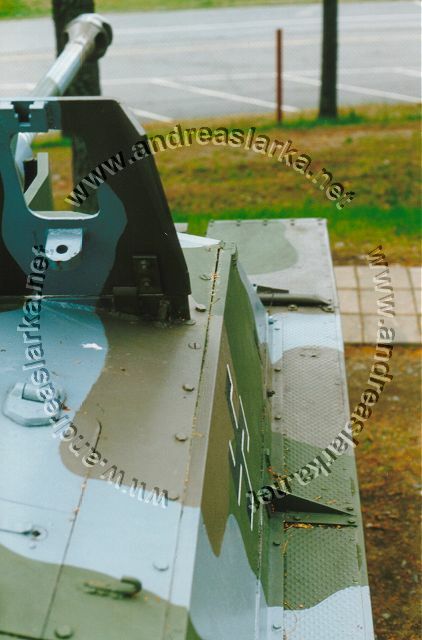 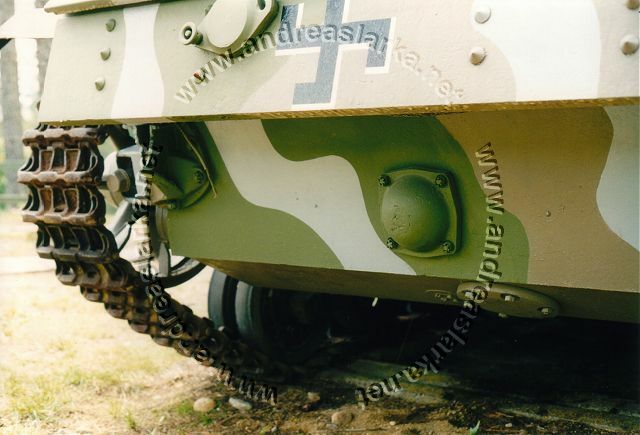 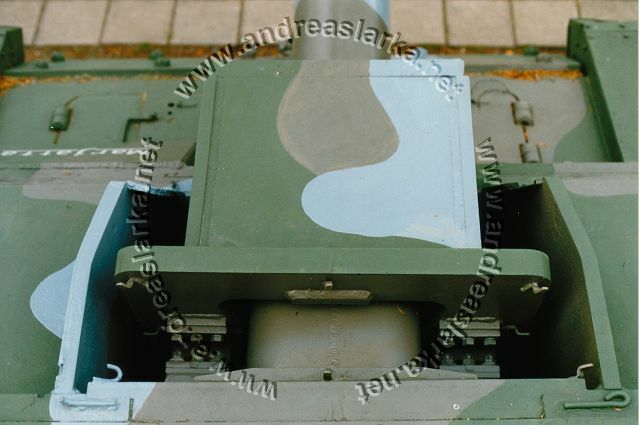 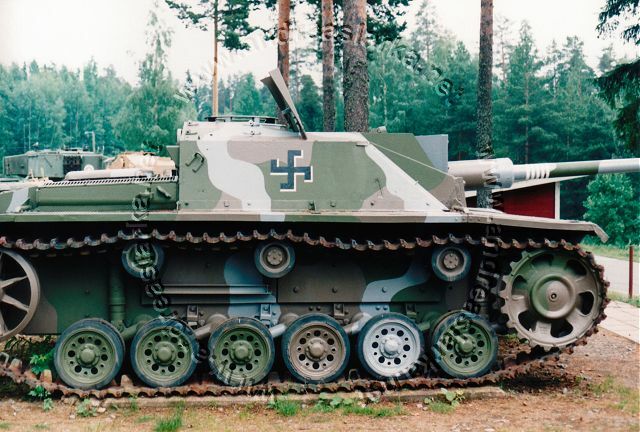 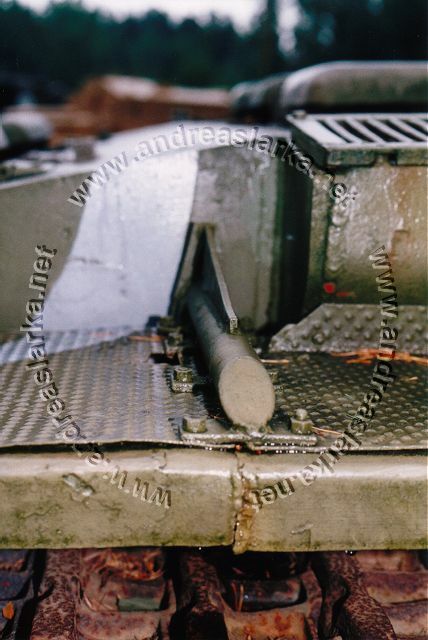 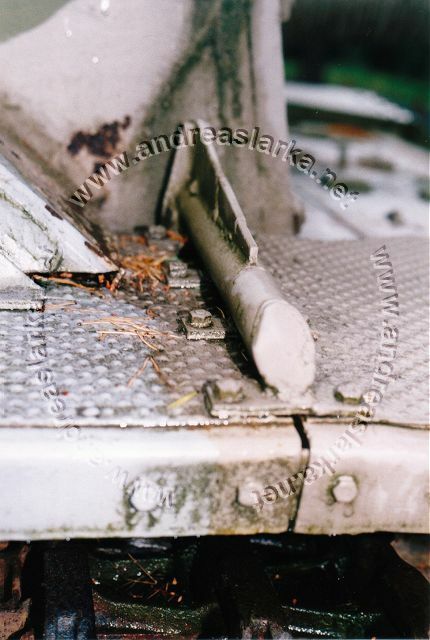 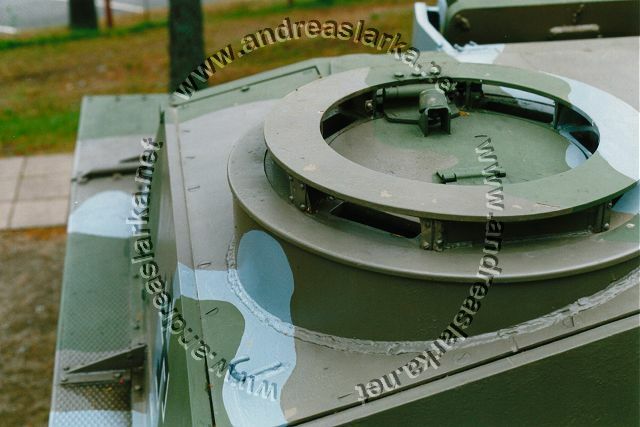 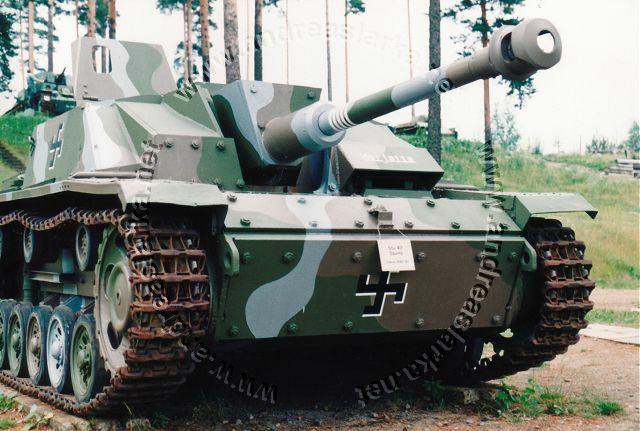 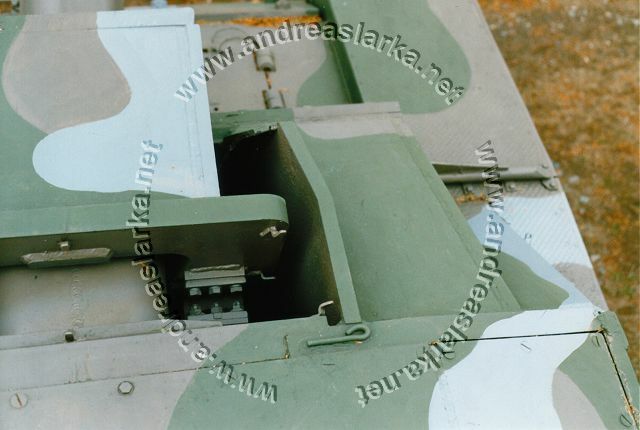 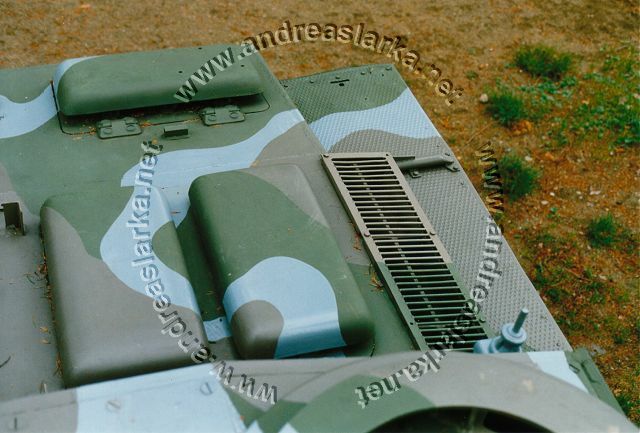 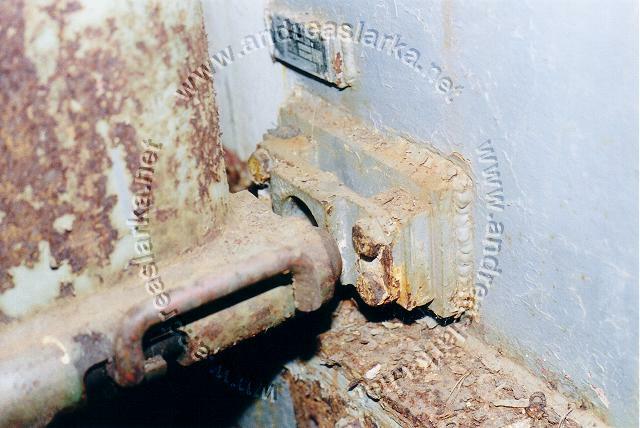 This MIAG-manufactured StuG is the very first Finnish StuG that fired at and destroyed Soviet Armour during the hard battles in the summer of 1944. 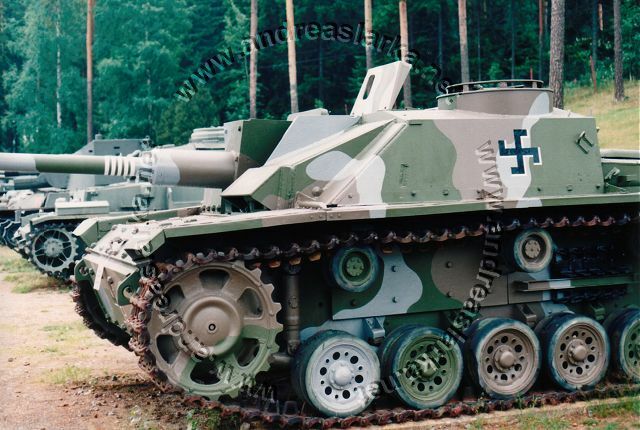 Repainted in a made up wartime-like colour-scheme and featuring some late-war and post-war additions..